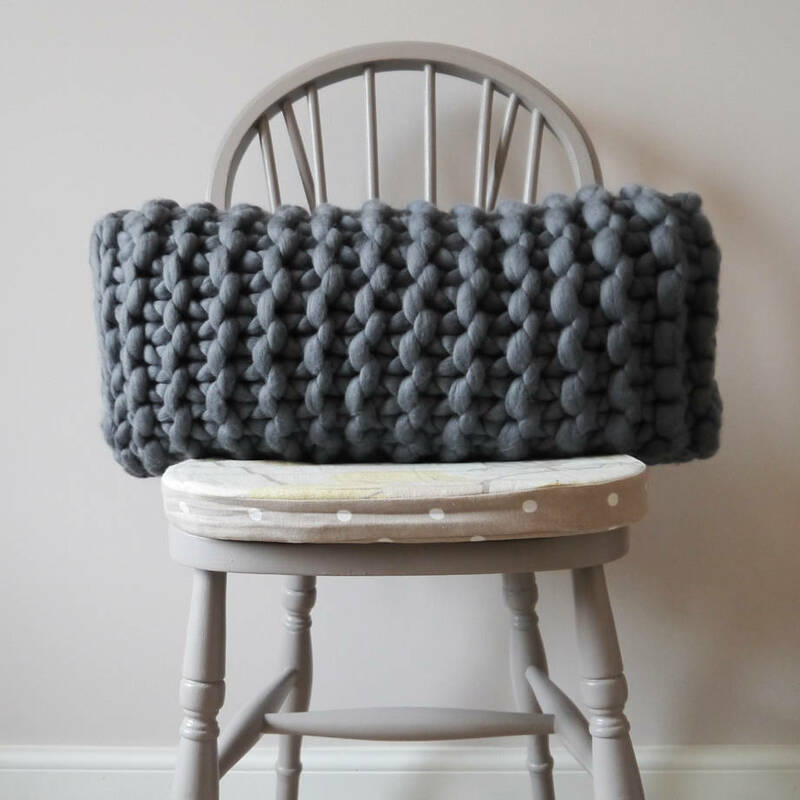 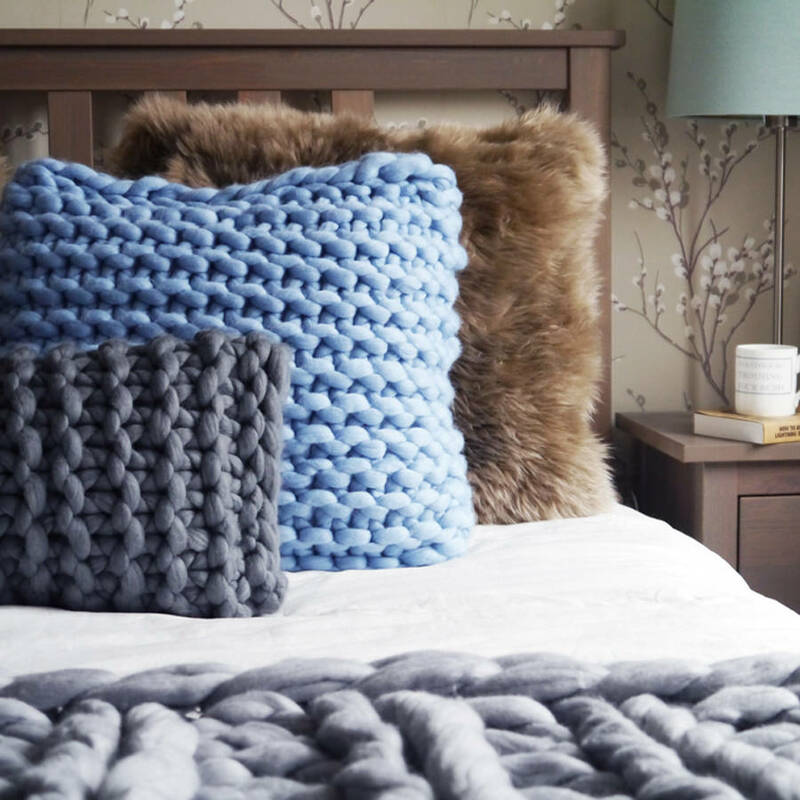 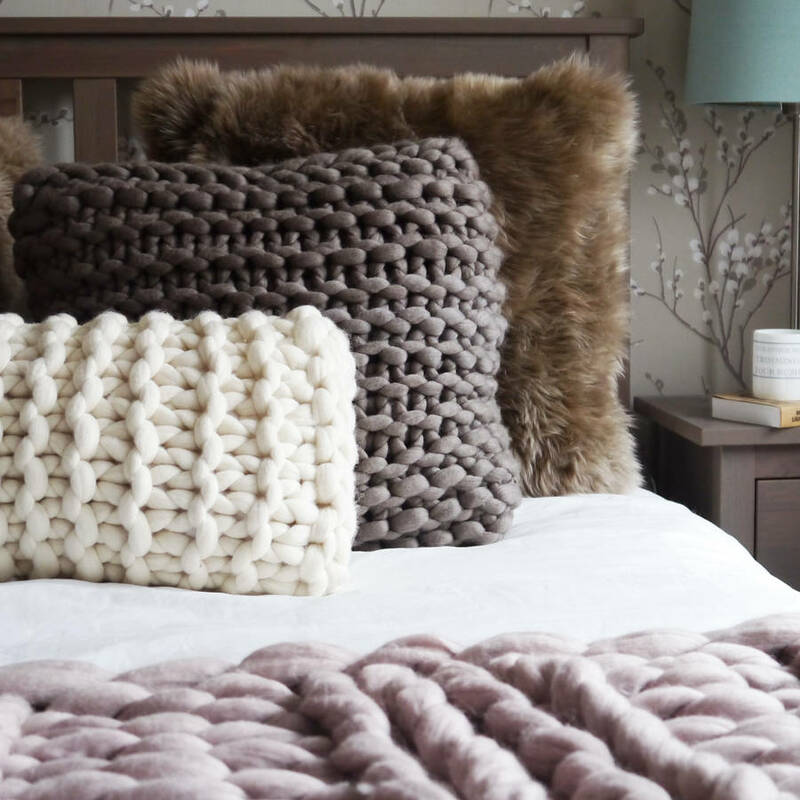 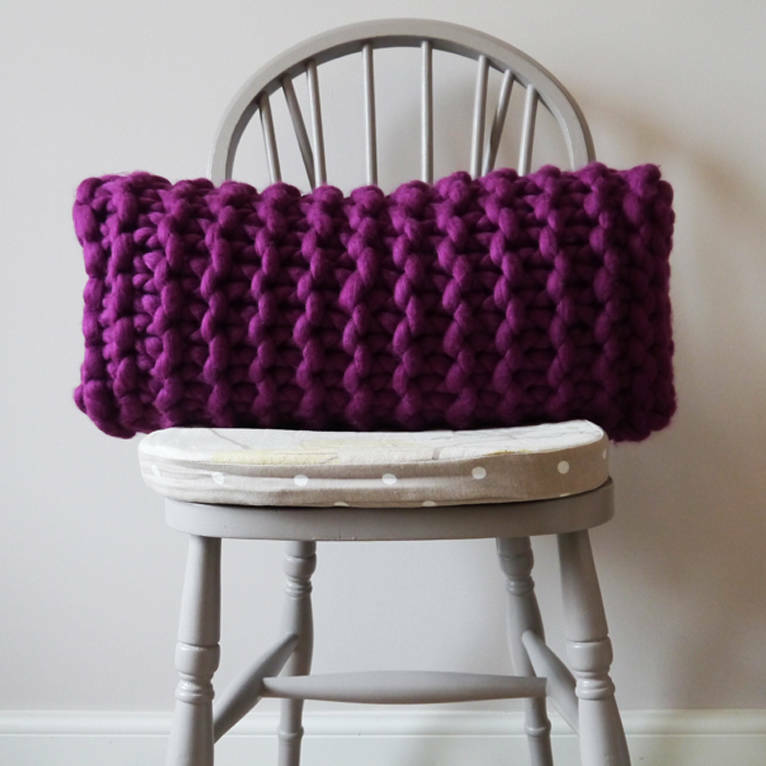 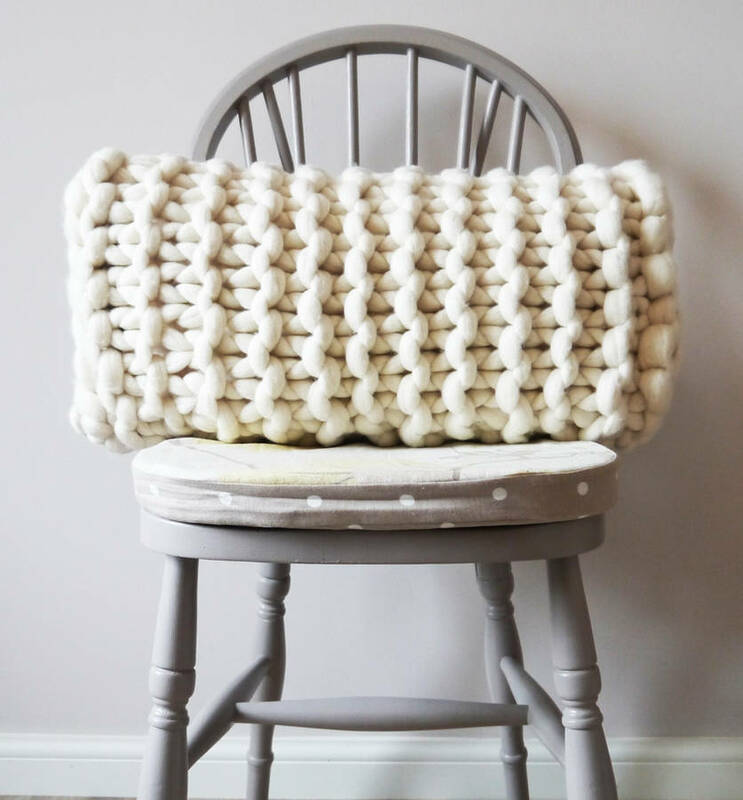 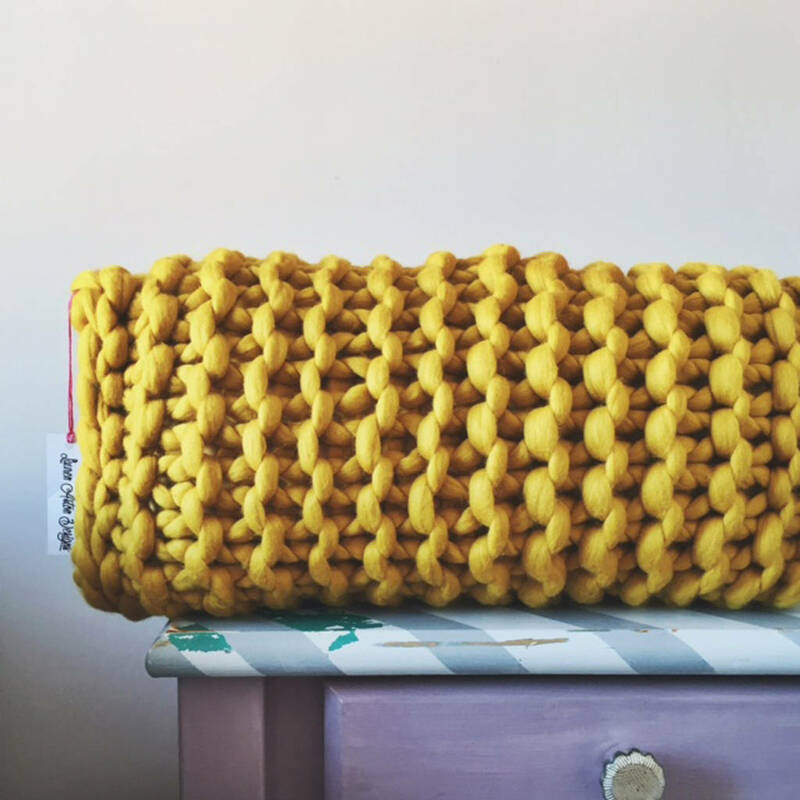 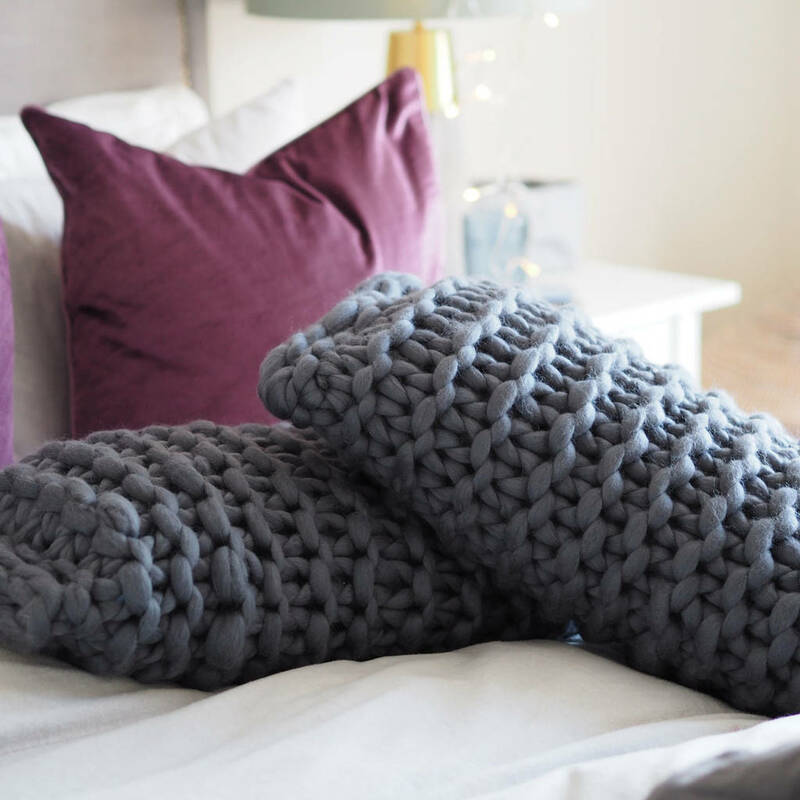 Each super chunky cushion is knitted and carefully processed by hand in my studio in Devon. 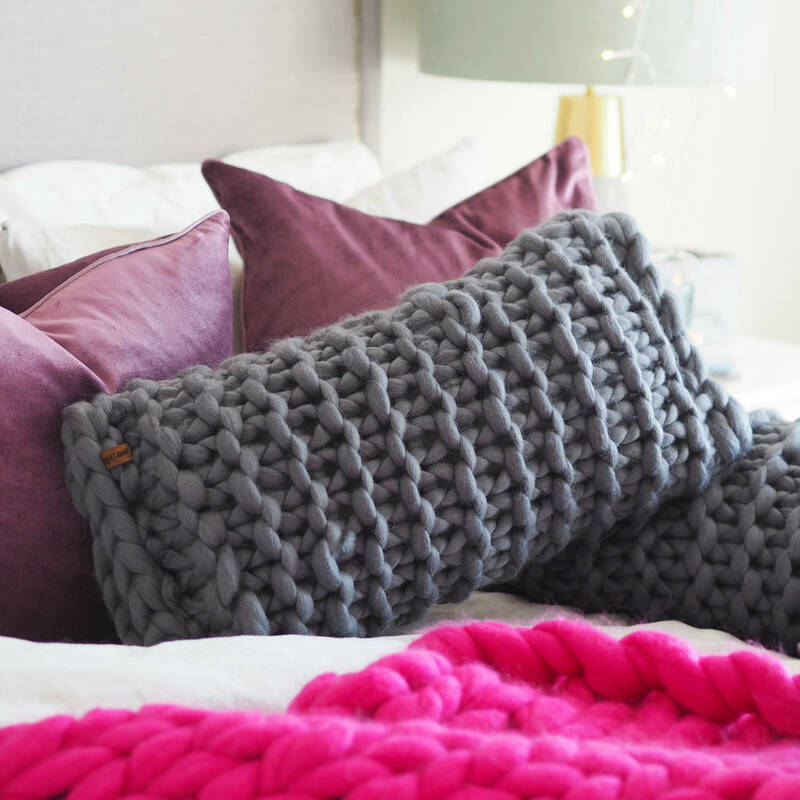 This stylish, rectangular cushion works beautifully as a standalone piece, or gives a luxurious, strong statement when paired with other items from the range, in particular the Large Square cushions in complimenting colours. 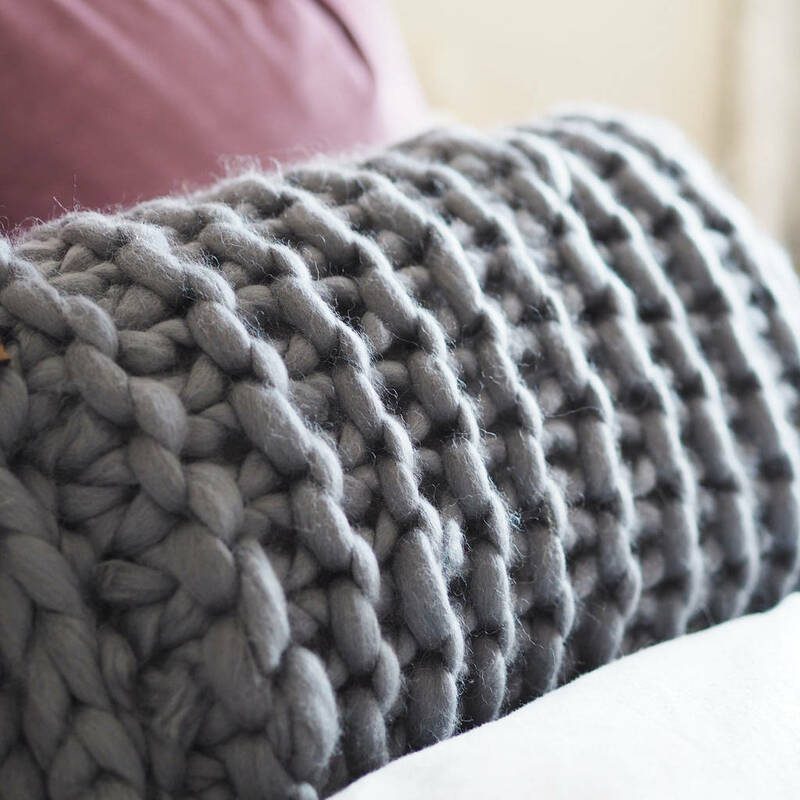 Keep it for yourself or give this idividual gift to a friend for a special occasion. 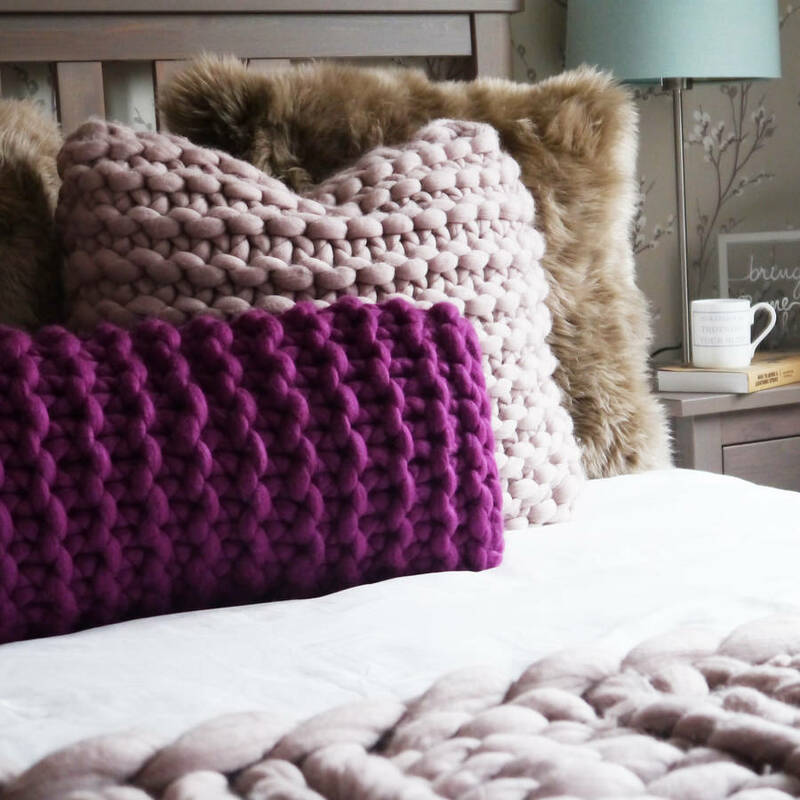 These cushions are sewn closed by hand so must be dry cleaned with the pads in.